I get lots of questions as an electric bike rider. Here are answers to the most frequently asked questions to help shed some light on this technology. What are ebikes used for? Most electric bicycles are used by urban commuters. But demand is rising for road and mountain biking. So these bikes must go farther and be more versatile. They are working to make them lighter and have longer battery life. Why do you ride an electric bike? 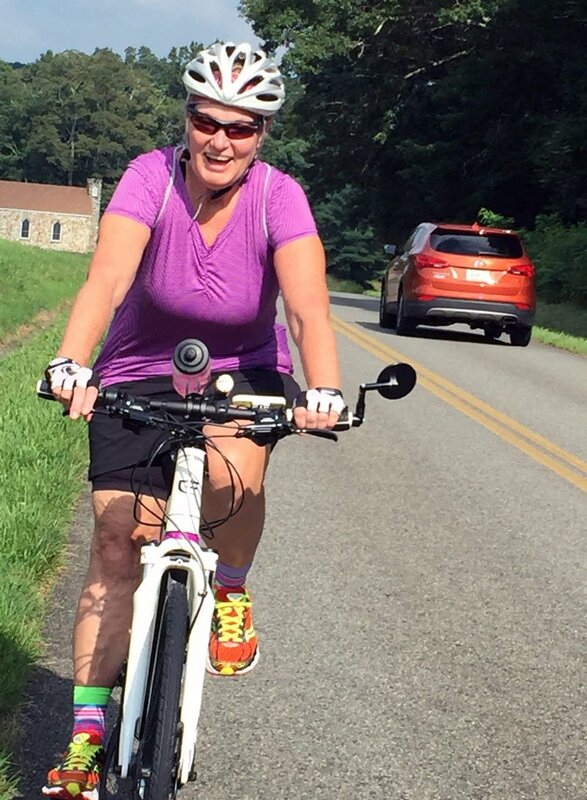 Adult-onset exercise-induced asthma left me lagging behind my peers on my beloved road bike. The joy I found in riding was replaced with fear of asthma attacks as I struggled up the hills. I wanted to ride with the same vigor and happiness I had before asthma, and pedal-assist electric bikes are a great solution. The first time I rode an ebike was exhilarating. No walking up hills, no sitting on side of road waiting for pickup, and no fear of ending up in the hospital. Just the thrill of riding and enjoying every minute. I bought my bike at Charlotte Cycles. What should I look for in an ebike? Along with price, a bike’s ride and style are a factor. Key features should meet your needs. Since my goal is road riding, I focus on battery life. I also like the versatility of bikes that can ride on gravel. Is this worldwide or unique to America? Ebikes are the most popular in Europe, Asia and India, where bicycles are a more common mode of transportation. While Asia and India still rely on lower cost lead-acid batteries, Europe, the Americas and others use lithium batteries, which cost more, but are more powerful, small and longer lasting. The United States has been slower to embrace electric bikes, but interest is rising. Not long ago, it was rare to find one on the sales floor. Some shops sold ebikes, but didn’t stock them to test drive. Now a good number of shops, here in Charlotte and beyond, have several in the store and offer maintenance for them. While electric bikes seem high tech, early models actually date back to the 1880s. Back then, and still today, there are different ways to power an electric bicycle, each with its own pros and cons. Electric hub motors can be located in either the front or back wheel. There are two types. Direct drive hubs use the whole hub’s shell as the motor. They are faster and more durable, but larger, heavier and have less torque. Since they’re always engaged, direct drive hubs return energy to the battery with regenerative braking. They do not have moving parts and are almost silent. Geared hub motors can be turned on and off, and are lighter and smaller than comparable direct drives. They often have greater torque, but lower top speeds. Geared hub motors use a free-wheel with no resistance when the motor is off, so there is no regenerative braking. Their moving parts make noise when used. Mid drive electric bikes have their motors near the middle of the frame. This creates better weight distribution and a lower center of gravity. The big advantage over a hub system is the ability to use the bike’s standard drive train and gears. So riders can use low gears to help climb hills and high gears to increase speed when it’s flat. These motors work best when used efficiently like this, along with gears and pedaling. They also tend to feel more like riding a regular bike. 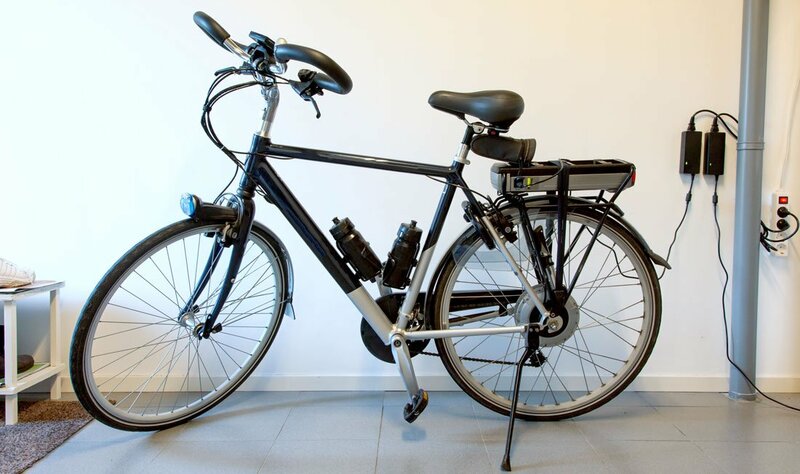 Motors can also be added to make traditional bicycles into ebikes. My electric bike was factory-made, but I have ridden several great retrofitted ebikes on tours. There are a variety of conversion kits available, including mid drive and hub motor options. Hub conversions are the most common, but you are now seeing more mid drives. The newest conversion technology rolling out are all-in-one wheel motor kits, like the Copenhagen Wheel. What are the laws for these things? As with any evolving technology, there is a lot of conversation and confusion about laws. Much of Europe and some US states classify electric bikes by how fast they go and/or are powered and regulate them by class. Other places lump all bikes with a motor into one category. So what’s considered a bicycle in one place, may be considered a vehicle in others, and subject to different rules and laws. Europe and America limit top speed and motor wattage. Europe is more conservative in defining a vehicle, and many areas are more restrictive with top speeds and motor wattage than in the US. American law on right-of-way and where various classes of ebikes can ride varies from state to state. Learn more here and here. What’s the difference between an ebike and a moped? The following classes were established in Europe to help define and regulate different types of electric bikes. Learn more. 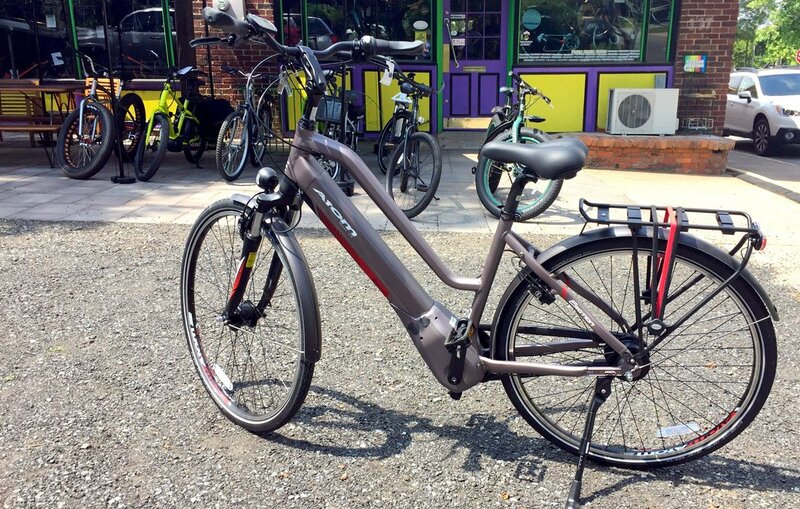 Some US states differentiate between classes of ebikes, but many do not. These require pedaling to activate the electric drive system. A sensor measures pedal torque and/or speed, and you can control how much electric power to add. Top speeds are usually limited to 15 to 20 mph. They have the same rights as regular bikes and can be used in the same places. These ebikes have a throttle-on-demand. Some can use throttle and pedal assist modes together, but other models are either/or. Built for speed and with more gears, these can go up to 28 mph in pedal-assist mode. These are considered motor vehicles, where the top speed is over 28 mph and motor wattage greater than 750. These have the most regulations on where to ride, plus licensing, registration, etc. Can I get good exercise with a motor my bike? 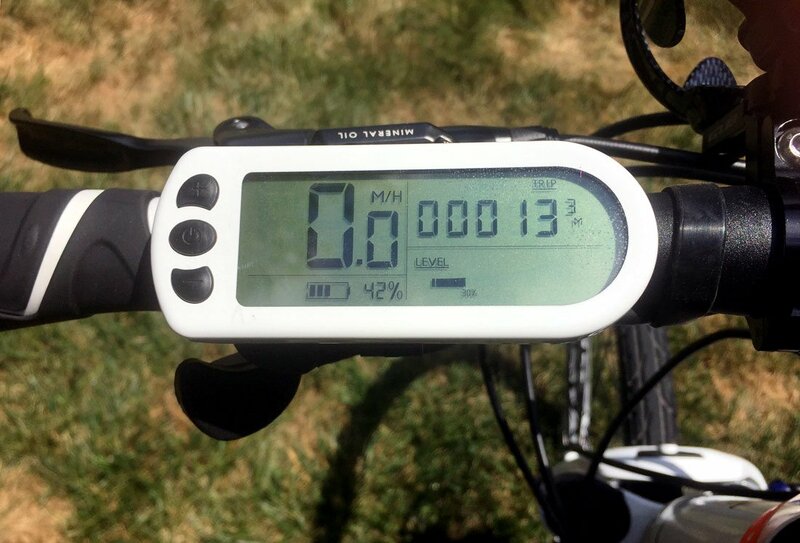 If you want to get exercise and/or extend your mileage per charge, simply turn down the level of assist. As a road rider who just needs help at times, I fall into this second category. I save my battery for when I need help with hills or have difficulty breathing. I get a great workout from the usual pedaling, plus propelling the bike’s added weight. Ebikes cost more than most traditional bicycles. You can spend anywhere from around $700 to more than $7,000 depending on features. My electric bike falls somewhere in the middle price range, and I was lucky to get it on sale. There is also a cost of charging the battery, and replacing it if needed. My regular road bike weighs close to 20 pounds, but my e-bike weighs a whopping 56 pounds. Since I primarily ride without electric assist, I am effectively riding a 56-pound bike. As with any bike, working the gears helps, but it is very heavy. Battery life can be a huge issue for road riders, so I looked for a bike that maximized the mileage per charge. For distance rides, I average 40 to 50 miles per charge by conserving the battery for when I really need it, like on hills. On a flat ride with no headwinds, I can get 60 miles from one charge. Batteries should be charged often. Do not let them run out of power, and do not store them with little to no charge left. They do not like extreme temperatures, so I store my battery indoors. The location of the battery can limit storage space. It’s taken several different arrangements and a lot of creativity to fit everything on my ebike. My current rig is a water bottle cage on front handle bars, a bento bag on my top tube for my asthma inhaler, and two more water bottle cages behind my seat. I use one cage for more water and the other for my tire repair kit and phone. What about when you travel? Bicycling is a key part of Martin and I’s travels, near and far. We enjoy everything from organized cycling daytrips, to renting bikes for a DIY tour, to entire vacations centered around cycling. More tour companies and rental shops are offering ebikes. I’ve used them to get up hills in Sonoma and Hawaii. It’s very liberating to have more options of places to ride, without fear of too much time riding in the SAG wagon or walking up hills. Want to know more? 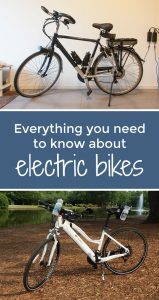 Check out our new blog with more electric bike FAQs here. What’s all the buzz about an electric bike?